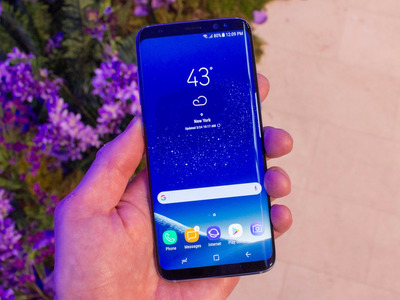 Next year’s Samsung flagship, the Galaxy S9 smartphone, is rumoured to have a similar front-facing camera setup. Adding a second lens to the front-facing camera could enable Portrait Mode selfies, which you can currently take on Apple and Google’s flagship phones but not Samsung’s. Samsung’s recently-announced mid-range smartphones, the Galaxy A8 and A8+, include a feature that’s also expected in next year’s Samsung flagship phone, the rumoured Galaxy S9. 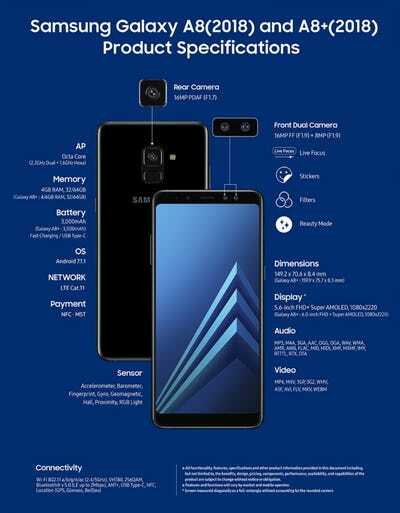 Samsungshared details on Tuesdayabout the Galaxy A8 and Galaxy A8+ smartphones, which both include a dual-lens setup for their front-facing cameras. So far, this dual-camera configuration has primarily been seen on the rear-facing cameras for popular smartphones, but not so much with front-facing cameras. On rear-facing cameras, the dual-lens setup tends to improve image quality and enable features like Portrait Mode, which Samsung brands as “Live Focus.” The camera trick allows for stylised photography with a sharp foreground and blurred background, which is known as a “bokeh” effect. 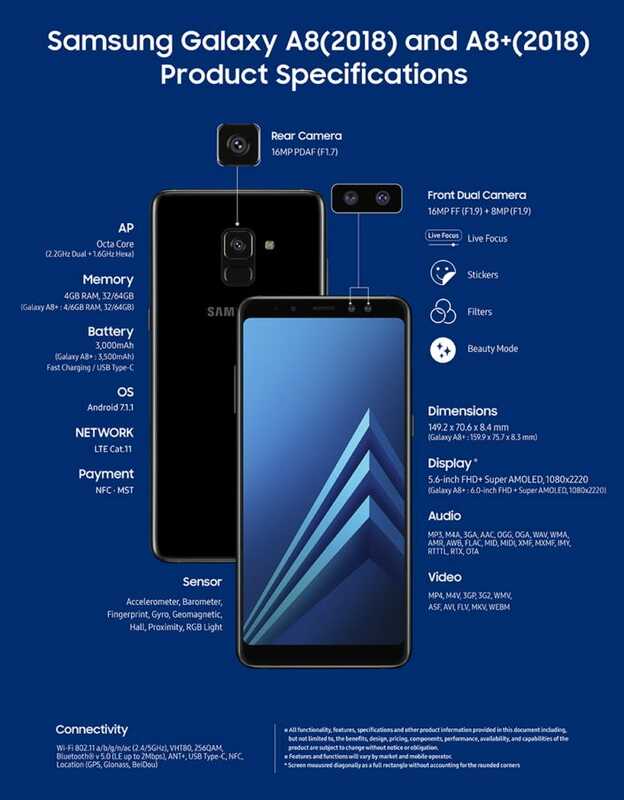 Samsung’sproduct specificationsfor the Galaxy A8 and Galaxy A8+ indicate that the dual-lens front camera does enable Live Focus, meaning users will be able to capture selfies with a bokeh effect. Many of Samsung’s international mid-range devices often test features that may be included in its premium devices for the upcoming year. Consumers saw hardware features, such as 6GB of RAM on the China-exclusiveGalaxy C9 Proin March before Samsung released the Galaxy Note 8 with 6GB of RAM in September. 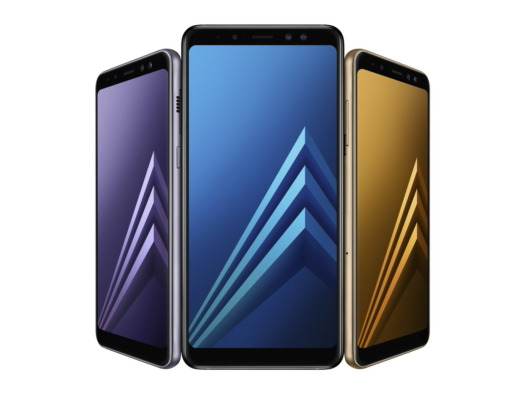 Similarly, the Galaxy A8 coming in January may serve as a testing bed for a similar dual front-facing camera system for the Galaxy S9. Recently-leaked renders, which are currently live on the website for the UK vendorMobile Fun, suggest the Galaxy S9 may also feature a single-lens rear camera, while the larger Galaxy S9+ may feature a dual-lens rear camera. The Galaxy S9 renders also show the fingerprint sensor placed below the camera module; in this year’s Galaxy S8 and Galaxy Note 8, the fingerprint sensor is to the right of the camera module. We’ve already heard a few rumours suggesting a dual-lens front-camera for the Galaxy S9. Sources told theKorea Heraldthat a dual-lens front camera setup is unlikely for the Galaxy S9 because Samsung wants the feature to be exclusive to the Galaxy A mid-range series. Otherrecent leaks, supposedly of the Galaxy S9 front panel, indicate the device may have only one front-facing camera lens. However, it could be beneficial for Samsung to consider a dual-lens feature for its 2018 flagship as its top competitors already have devices on the market with Portrait Mode enabled for the front camera. Google’sPixel 2features a single-lens rear camera that can shoot in Portrait Mode thanks to software optimization, and its single-lens front-facing camera works in the same fashion. Apple’siPhone Xfeatures a dual-lens rear camera and a single-lens front camera, both of which can capture images in Portrait Mode. As for the Galaxy S9 and S9+, Samsung may choose to enable its Live Focus feature in a single-lens configuration for both phones’ front and rear cameras. It’s also possible Samsung could limit this feature to the larger Galaxy S9+, similar to what Apple did with the iPhone 8 and iPhone 8 Plus and the older iPhone 7 and iPhone 7 Plus. Samsung has yet to confirm any details about the Galaxy S9; however, the latest leaks and rumours suggest the device may have a similarly tall “Infinity display” aspect ratio, like the Galaxy S8. Reports also suggest the Galaxy S9 may release with a slightly bigger battery capacity. The Galaxy S9 may be announced in late February, during Mobile World Congress (MWC), according toBloomberg. Last year, Samsung opted to announce the Galaxy S8 in a standalone event after MWC.